The Best Arborist Blogs from thousands of Arborist blogs in our index using search and social metrics. We’ve carefully selected these websites because they are actively working to educate, inspire, and empower their readers with frequent updates and high-quality information. Also check out Arborist Youtube Channels. Arborist newsletter is a comprehensive summary of the day's most important blog posts and news articles from the best Arborist websites on the web, and delivered to your email inbox each morning. To subscribe, simply provide us with your email address. Lincoln, NE/Nebraska City, NE About Blog The Arbor Day Foundation is an education non-profit organization with a mission to inspire people to plant, nurture, and celebrate trees. Follow this blog to get tips for trees planting, pruning, trimming and removal. Facebook fans 229,192. Twitter followers 26,064. Los Angeles, CA About Blog Evergreen Arborist Consultants, Inc. has a passion for tree care. We are a second generation tree, horticulture, landscape, and consulting company. Learn more about tree care and landscaping management on this interactive and educational blog. Facebook fans 707. Twitter followers 451. Sioux Falls, South Dakota About Blog Aspen Arboriculture Solutions, LLC is an Arboriculture consulting firm, providing expert advice in all things tree and arborist related. Follow this blog to learn more about the different types of trees, diseases and how to care for them. Facebook fans 528. Twitter followers 912. Huntsville, AL About Blog Joe Webster Tree Care, Inc. is a certified arborist tending to new and mature trees across Huntsville and has been trusted in the industry since 1930. Follow our expert blog for the latest updates! Portland, Oregon About Blog Urban Forest Pro's arborists make sure you stay up to date with the latest Portland tree care news and trends that could impact your trees and shrubs in our blog. Facebook fans 1,110. Twitter followers 85. Apopka, FL About Blog J&J's Lawn and Tree Service has been operating and serving the community for more than 27 years, and is committed to bringing you top quality results. Follow this blog get insights about tree stump grinding, crane services, tree removal, and much more. Facebook fans 157. Twitter followers 59. Wisconsin, USA About Blog This blog is dedicated to improving the knowledge and quality of the profession of arboriculture in Wisconsin. Facebook fans 993. Twitter followers 509. Orange, NJ About Blog Friendly Tree is a family owned Arboriculture group. The art & science of tree care! Follow this blog for landscaping and gardening tips and professional solution to all tree servicing needs. Facebook fans 189. Twitter followers 732. Madison, Wisconsin About Blog We are Madison's friendly, full-service tree care company, expert in tree pruning, planting, and removal. Follow this blog for the best solutions and ideas to help you maintain the trees in your landscape. Illinois About Blog The Illinois Arborist Association is a non-profit organization that educates our members in proper tree care. The IAA keeps you abreast of current issues and trends in our industry. Facebook fans n/a. Twitter followers 1,805. About Blog Keep up with Tips, hacks, and tricks to keeping your plants healthy. About Blog CSK Landscape Services (S) Pte. Ltd. is an arboriculture consultancy that focuses on tree conservation, surgery, difficult tree removal, tree risk assessment, asset management, tree inventory, contract specification planning, research, training and the supply of tree climbing/ work equipment. Yuba City, CA About Blog We are a fully licensed and insured, residential and commercial tree care service with over 30 year years of experience. We are professional arborists and tree care specialists who are here to serve all of your tree care needs. Follow this blog to find great tree care information as well as entertaining video and images from the front lines of a team of climbing arborists and tree service professionals who specialize in big tree removal. Facebook fans 173. Twitter followers 25. Atlanta About Blog Onebark's consulting arborists help people protect and conserve their trees and plants. We are a group of highly trained tree experts who provide accurate and ethical advice to their customers. About Blog Certified Hamilton arborist blog regarding all things tree providing top notch tree care and maintenance tips for all who want to learn how they can make the best out of their trees health and avoid any potential liabilities. Facebook fans 149. Twitter followers 14. Canton, GA About Blog 770-Arborist LLC is a fully-insured Arboricultural-Minded Tree Service, serving the North Metro Atlanta area. We offer tree health/risk assessments, tree thinning and pruning, tree planting, and tree removal. Facebook fans 79. Twitter followers 4. Fort Worth, Texas About Blog Horton Tree Service is experienced in all types of residential and commercial tree work. Follow this blog to know more about tree care from arborists and tree specialists. Beaverton, OR About Blog This blog is for tree lovers and arborists. Get tips on how to keep your trees trimmed, bushes pruned and landscape healthy. Toronto, Ontario About Blog Heritage Tree Care is a contentedly small and happily thriving tree service operating out of west central Toronto that is dedicated to giving the highest quality of professional advice and implementation of all your tree care needs. Facebook fans 155. Twitter followers 23. US, Canada, UK & Ireland About Blog Bartlett Tree Experts, are committed to the care of trees, and to provide professional service for helping homeowners and businesses to maintain beautiful, healthy trees and shrubs. Follow this blog to know about tree services like tree preservation, tree pruning, tree safety and much more. Facebook fans 4,196. Twitter followers 7,525. Twin Cities Metro About Blog Vineland Tree Care is a full service tree maintenance company, dedicated to protecting and preserving the health, beauty and value of urban forest for homes and businesses throughout the Twin Cities. Follow this blog to get tree care tips and advice from the expert arborists. Facebook fans 176. Twitter followers 18. About Blog Merlin Arborist Group is a fully licensed and insured arboricultural company based in Sonoma County that works with commercial, residential, and agricultural clients. We are a family-run business dedicated to providing clients with the highest level of tree care. Follow this blog to find informative articles about Fine tree care, consulting, and land management. Columbus, OH About Blog Ahlum & Arbor Tree Preservation is a full service arboricultural firm providing a complete range of residential and commercial tree care services including customized pruning, insect and disease management, and plant health care programs to maintain and enhance the health of your trees and shrubs. Follow this blog to discover more about tree health care. Facebook fans 451. Twitter followers 5. About Blog Nova Arborist is a team of ISA Certified Arborists and apprentices that have studied and understand the biology of trees. We offer complete tree care services such as tree preservation, health and maintenance pruning, unique deep root fertilization techniques, tree planting and tree removal. 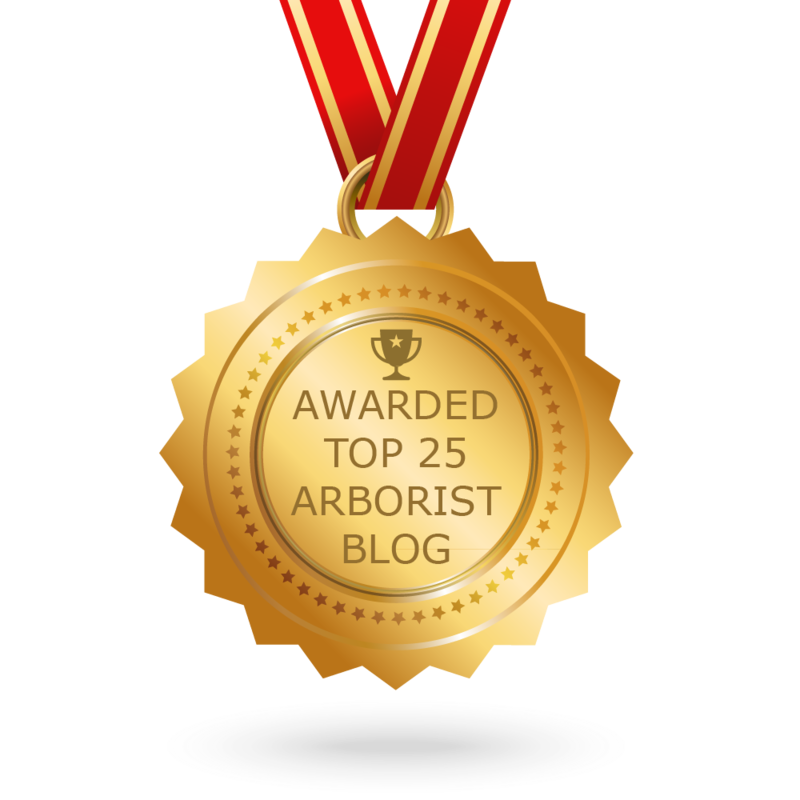 CONGRATULATIONS to every blogger that has made this Top Arborist Blogs list! This is the most comprehensive list of best Arborist blogs on the internet and I’m honoured to have you as part of this! I personally give you a high-five and want to thank you for your contribution to this world.